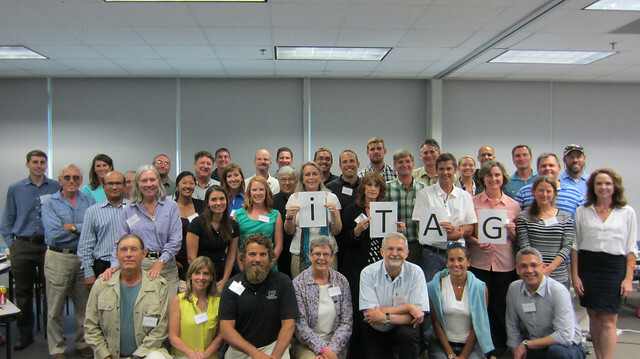 The Gulf of Mexico Coastal Ocean Observing System Regional Association (GCOOS-RA) and the Southeast Coastal Ocean Observing Regional Association (SECOORA) co-sponsored an Integrated Tracking of Aquatic Animals in the Gulf of Mexico (iTAG) workshop held May 29-30, 2014. It was hosted and organized by the Florida Fish and Wildlife Research Institute (FWRI) in St. Petersburg, FL. 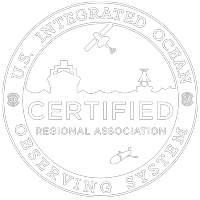 The workshop brought together technologists, scientists, data managers, and administrators from State and Federal government agencies, academic institutions, NGOs, private organizations and international partner Ocean Tracking Network (OTN). The goals of the workshop were to bring together groups involved in animal telemetry, fisheries science and coastal ocean observing in order to: (1) address and advance the science, (2) establish data sharing and exchange policies, and (3) improve coordination and increase spatial infrastructure in the Gulf of Mexico. The participants discussed the benefits of coordinating animal telemetry efforts in the Gulf. One outcome from the workshop was the consensus to coordinate with GCOOS-RA and SECOORA. The participants agreed to leverage both regional associations coastal observing infrastructures, in particular data management and outreach, in order to establish a web presence for a membership based telemetry group.There was strong agreement to host similar workshops in the future to continue coordinated animal telemetry efforts. A complete workshop report is being complied by Susan Barbieri, FWC/FWRI- for more information please contact Susan via email Susan.Barbieri@MyFWC.com.